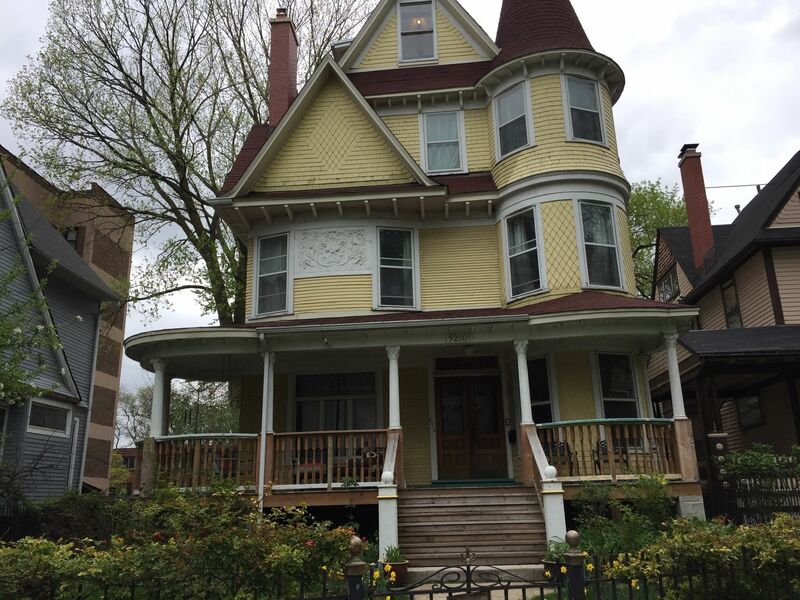 Hyde Park, Kenwood, and South Shore Neighborhoods Walking Tour is a 10.6 mile out and back trail located near Chicago, Illinois. The trail is good for all skill levels and primarily used for hiking, walking, and scenic driving. Dogs are also able to use this trail but must be kept on leash. First family sites in Hyde Park, Kenwood, and South Shore. Chicago is the adopted hometown of President Barack Obama, who gained his political bona fides, started his family and launched himself into the White House from the South Side. There are a smattering of Obama-related sites in other areas of the city. 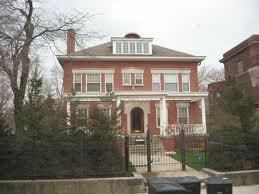 This walking tour contains the University of Chicago on the South Side is where you will get a feel for who he was and how he lived before moving to the White House. 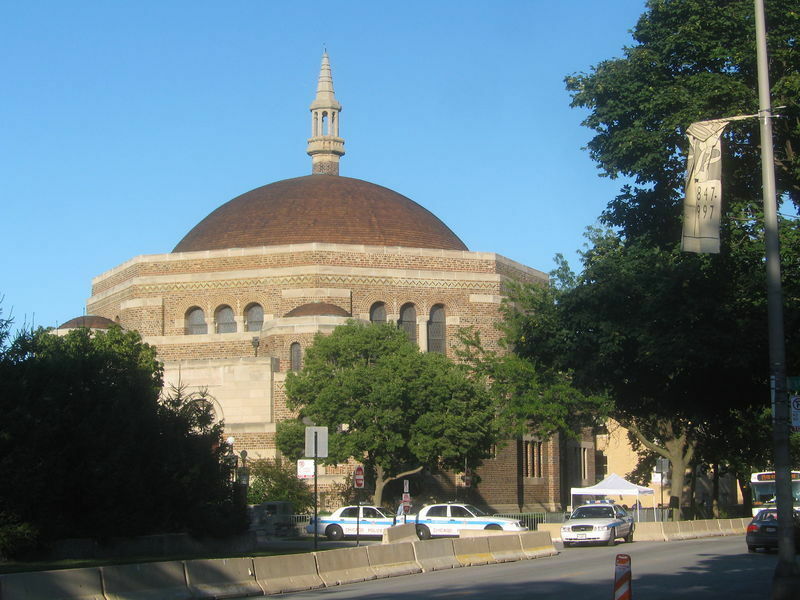 Across Greenwood Avenue to the east, the Byzantine structure is the KAM Isaiah Israel Temple, an architectural landmark designed by Alfred Alschuler in 1924. The Obama family's favorite bookstore is in an ancient cellar. The president did his book signings in the shop. He's a good customer there as well. There are pictures and the staff will tell you interesting stories. The cooperative, member-owned bookstore was founded in 1983. It's known for its selection of mystery, science fiction and cookbooks. It also sells the president's two books, "Dreams from My Father" and "The Audacity of Hope." Before they moved to Washington, D.C., and enrolled in the prestigious Sidwell Friends School there, first daughters Malia and Sasha attended school at the prestigious University of Chicago Lab School here. This internationally renowned school serves children in kindergarten through 12th grade who "learn by doing." 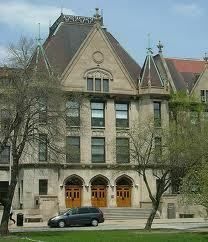 The school was founded in 1896 by University of Chicago Professor John Dewey to test his educational theories. The school employs an unregimented but demanding curriculum that focuses on teaching students to analyze and critically solve problems, rather than simply absorb facts. The president taught constitutional law at the University of Chicago from 1992 to 2004. Classroom V is in a building designed by noted architect Eero Saarinen in 1956. Enter, turn left and walk toward the right corner of the hall. You will see information on the wall outside the classroom about Obama's tenure as a lecturer inside the room. Even if the door is locked or a class is in session, there is a window in the door to view the room. 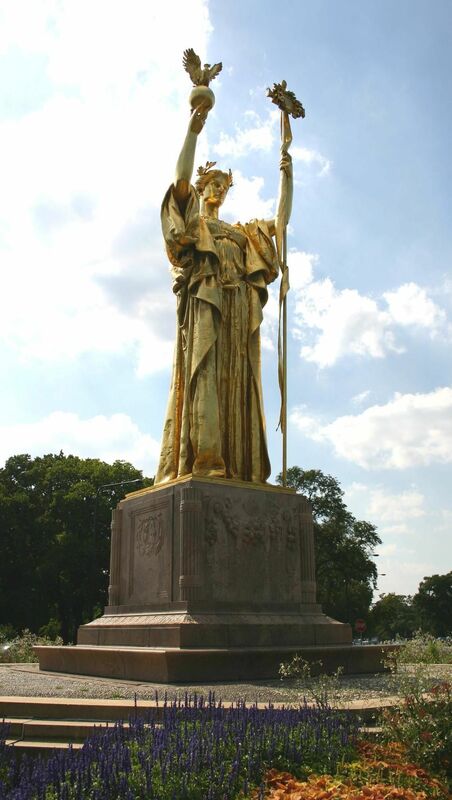 If you have time and energy, go south around the Museum of Science and Industry (site of the 1893 World's Fair) at the eastern tip of Hyde Park and south through Jackson Park. The basketball courts you see are the ones on which Michelle Robinson's brother, Craig, tested Barack's character and reported him to be a good guy. Here's the often-told story as it was reported in an issue of Esquire magazine: "When I played basketball with Barack, he was quietly confident, which means he had good self-esteem without being cocky," Robinson said. "He was certainly a team player-he wasn't a pig, he passed when he was supposed to pass, and he cut when he was supposed to cut. To me, that speaks to a lack of selfishness. He had natural leadership ability, because he didn't just pass me the ball because he was dating my sister. Whenever a player gets tired, he reverts back to the player he truly is. That's how you tell. And we played for hours. That's how I could tell." After exiting Jackson Park, go a tad farther south to the former South Shore Country Club that now serves as a Chicago Park District facility. It is here that the first couple held their wedding reception in 1992. 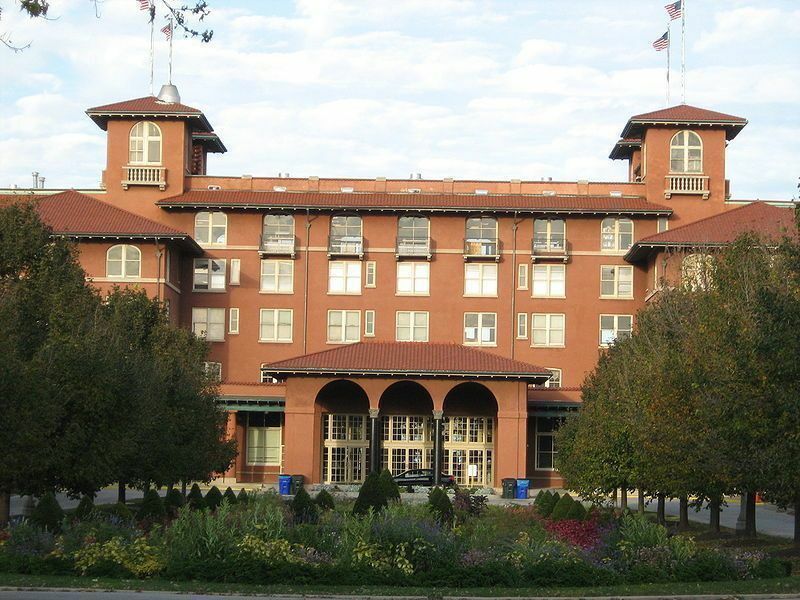 The South Shore Cultural Center sits on a 65-acre park with a golf course, tennis courts and bathing beach open to everyone-a far cry from its beginnings as an exclusive country club that excluded Jews and other minorities, including African-Americans. The Mediterranean Revival-style building was built in 1916 as a playground for Chicago's wealthiest citizens. It was designed by architects Marshall and Fox, who later designed many of Chicago's most luxurious hotel and apartment buildings, including the Drake Hotel. Membership in the country club peaked in the late 1950s and began to fall as African-Americans began settling in the surrounding South Shore neighborhood. Black members were not allowed to join the club, which went out of business in the 1970s. The Chicago Park District bought the property in 1974 and planned to demolish the severely deteriorated clubhouse. Community members rallied together to save the historic building. To get back to the city center from the South Shore Cultural Center, head over to the Metra Electric train station across the street from the cultural center. Trains stop on a regular basis. 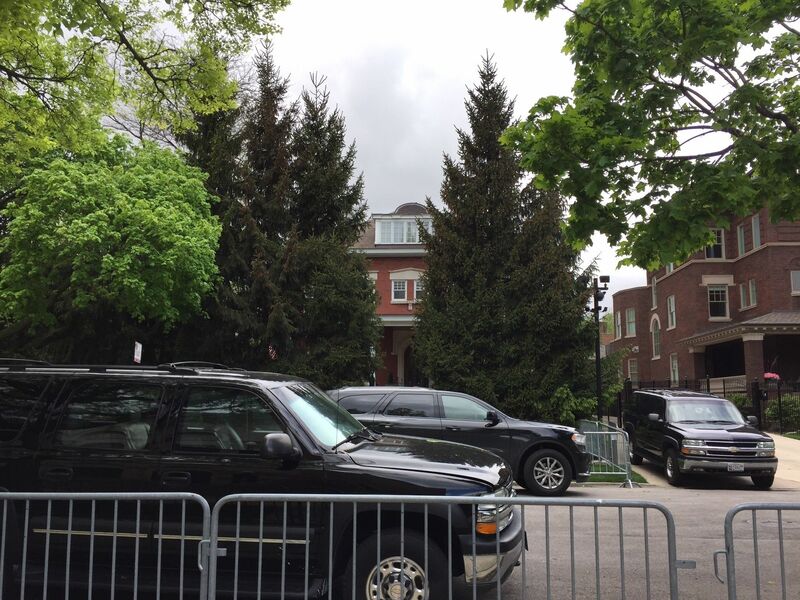 Avoid visiting when the president is ensconced in the "Western White House" in Chicago. He rarely makes it home to Chicago, but when he does, the area goes on lockdown and it becomes difficult to maneuver around Secret Service detours. Wear comfortable walking shoes and bring a jacket and umbrella. Chicago weather can be unpredictable. If you're walking, you'll probably want to forego the final two stops-the Jackson Park basketball courts and South Shore Cultural Center. Getting there: It's best to drive this tour if possible. Take Lake Shore Drive and exit at 47th Street. There are plenty of places to park your car to walk portions of the tour. If you prefer to take public transit, the Metra Electric makes two stops in Hyde Park-one serves 51st-53rd streets and the other serves 55th-57th streets. The area also is served by a number of CTA bus routes, including routes 1, 2, 6, X28, 10 and 55. Please note: The CTA has a tendency to change routes, schedules and even eliminate bus routes on a moment's notice. Visit www.transitchicago.com for the latest information on routes, schedules and recommendations for the most efficient way to get to where you are going. Easiest to take Uber to Hyde Park to his home address probably or to the University of Chicago Law School. Fun walk, friendly neighborhood. We did maybe half of it.